Working with CBS, which has made the study of this issue a priority, gives NYU Stern scholars access to information with great potential for important and compelling research findings. New York University and CBS Corporation announce the NYU Stern/CBS Media Analytics Initiative, a new program designed to advance cross-media research by providing a wider understanding of the nature of the interactions between television and other media platforms and how they influence consumer exposure and behavior. 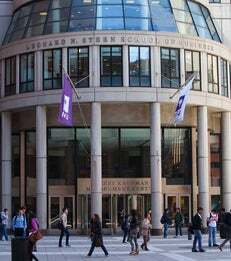 The initiative, which will be housed in the marketing department of NYU’s Stern School of Business, will combine the analytical skills of NYU faculty with data access from CBS. As part of this unique partnership, CBS will encourage research proposals from Stern faculty in order to access proprietary data. In addition, the Network will make the CBS Television City Research Center in Las Vegas available for further studies.